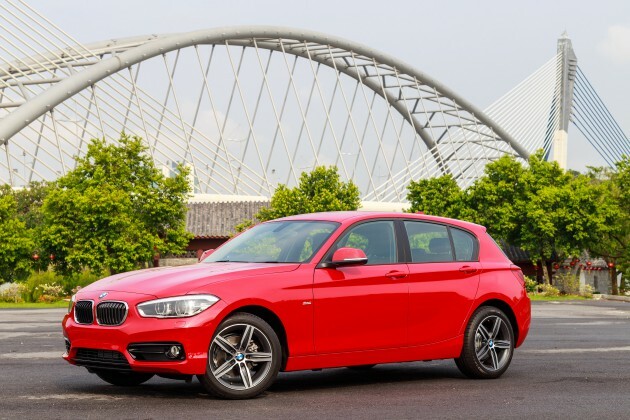 On last Thursday, BMW Group Malaysia introduced the new BMW 118i Sport for Malaysian market. 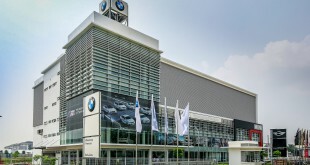 Harris added that the new BMW 118i Sport now also introduces the segment to a new generation engine with the latest BMW EfficientDynamics technology, the latest driver assistance systems and mobility services courtesy of BMW ConnectedDrive as well as a host of safety features, making the premium segment hatchback also one of the safest in its class. The proportions, lines and surface design of the new BMW 1 Series bear all the classical hallmarks of a BMW with its set-back passenger compartment, long bonnet and short overhangs, in particular, give the new premium hatchback a uniquely sporting presence. The new car features subtle but key differences to refine yet further the overall package. 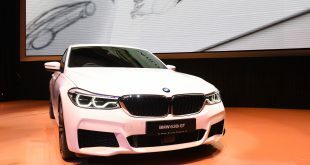 At the front, a new lower apron with larger air intakes and a horizontal bar combines with the reshaped BMW kidney grilles and front ornamental grille in chrome surround with its exclusively designed kidney bars in high gloss black to provide the sight that the new BMW 118i Sport was designed with dynamism and sportiness in mind. Full LED headlamps with low and main beam have also been added to the new variant of the BMW 1 Series. 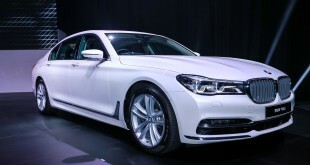 At the rear, new tail lamps with the now familiar BMW ‘L’ shape design adopt striking LED technology. Further to this, a single round exhaust tailpipe in chrome matt finish and the rear bumper with specific design elements in black-high further accentuates the sporty expression of the new BMW 118i Sport. In terms of wheel options, the new BMW 118i Sport offers 17’’ light alloy wheels Star Spoke 379 71/2 J with 17’’ tyres 225/ 45 R17. The driver-focused cockpit of the new BMW 1 Series is an even more welcoming, sporty, comfortable place to sit, thanks to enhancements to the design and the use of Sensatec Leather for its upholstery. The instrument cluster with red highlight and chrono scaling as well as interior trim finishers in Black High-Gloss with highlight trim finishers in Coral Red Matt further adds the sporty feel inside the car. Further driving this sporty expression inside the car are the sports leather multifunction steering wheel and the sports seats for both the driver and front passenger. The BMW Radio Professional and iDrive operating system continues to be standard across the entire range so the all new BMW 1 Series model also features the segment leading freestanding, 6.5-inch Control Display, the controller wheel mounted on the centre console and the direct menu control and favourites buttons. The controls arranged below the Control Display have also benefited from detailed refinements. Both the air vents and the controls for the radio and the automatic air conditioning now feature high-quality chrome surrounds. The radio and automatic air conditioning keypads, meanwhile, are set against high-gloss black panelling. 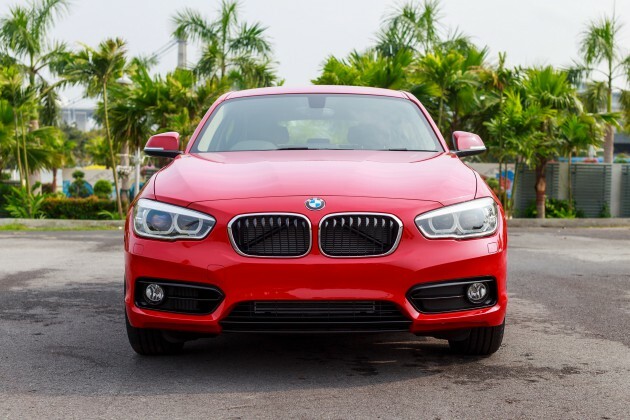 The new BMW 118i Sport sees the introduction of the new Engine of the Year 2015 award winning 3-cylinder petrol engine to the premium compact segment. 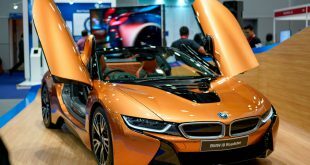 The innovative BMW TwinPower Turbo 1.5-litre 3-cylinder petrol engine, which is the same power plant in the all-new BMW i8, delivers a maximum output of 136 hp, torque of 220 Nm and accelerates from 0 to 100 km/h in 8.7 seconds. The combined fuel consumption of the new BMW 118i stands at 5.1 litres per 100 km with C02 emissions of 119 g/km. Adding to the dynamism of the its engine capabilities, the new BMW 118i Sport also features the segment leading 8-Speed Steptronic automatic transmission and Driving Experience Control modes with the efficient ECO PRO mode, another class leading feature which makes the BMW 118i Sport stand out from the rest in the premium compact segment. 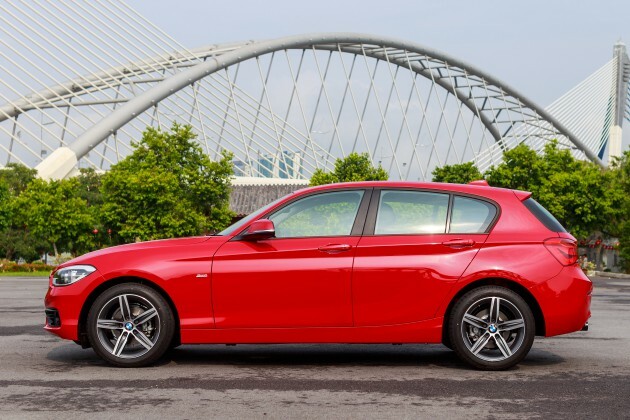 As a car built with a sporty expression, the new BMW 118i Sport is also not short in terms of safety features. The compact premium sports hatchback offers complete air bags for front and rear passengers, side air bags for driver and front passengers which are integrated into the front seat backrest and head airbags at the front and rear with curtain head protection and splinter protection capabilities. Doubling up on the safety measures are child seat ISOFIX attachments for the rear seats and a central locking system with electronic immobiliser and crash sensor. A leading feature amongst its peers in the industry, the new BMW 118i Sport offers Intelligent Emergency Call, Teleservices and Remote Services functionalities. 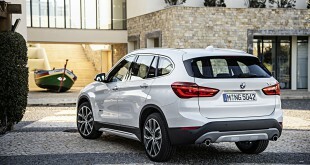 A SIM card built into the vehicle enables customers to enjoy optimum connectivity and access to the unrivalled range of services from BMW ConnectedDrive without the need for a smartphone. Intelligent Emergency Call, a standard feature in the new BMW 118i Sport, ensures maximum safety on the road. If the airbags are triggered in an accident, this system uses the built-in SIM card to automatically transmit the severity of the accident, the potential risk of injury to the occupants and the vehicle’s location to the BMW Call Centre. This information is then used to arrange the best possible emergency response while the Call Centre stays in contact with the occupants if desired. The manual emergency call function also allows rapid help to be summoned for other road users in emergency situations at a touch of an SOS Button. Remote Services, on the other hand, transforms the owner’s smartphone into an intelligent and convenient remote control for the vehicle – via the MY Remote app (BMW iRemote app) or the BMW Call Centre. Users can use their smartphone to lock and unlock their car or find it immediately by flashing the headlights or sounding the horn. The new BMW 118i Sport is available in colour options of Black Sapphire, Mineral Grey, Crimson Red, Midnight Blue and Alpine White and the new compact premium sport hatchback will be available at all authorised BMW dealerships across the country from next Wednesday, 25th November 2015. The estimated retail prices (on the road, without insurance with BMW Malaysia’s latest 5 Years Unlimited Mileage Warranty and Free Scheduled Service Program) of the New BMW 118i Sport is RM 188, 800.